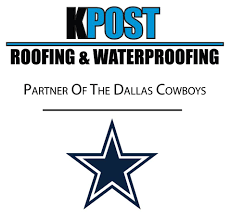 I’m proud to be working with KPost Roofing Dallas. There is simply no other way to put it. As a Certified EOS® Implementer, I am lucky enough to work with truly amazing people from nearly every industry imaginable. Today, though, I’d really like to share some of what makes me proud to work with KPost specifically. So why am I so proud to work with KPost Roofing Dallas? The first reason is as simple as it gets. The team at KPost is one that anyone would be proud to know. The owner and CEO, Keith Post, is the kind of person any company would want at its helm. His dedication to excellence and foresight have helped bring KPost into the spotlight as one of the best roofing companies in the country. Steve Little is the President / Head Coach of KPost. More than that, he’s the heart and soul of the organization in a lot of ways. His day-to-day leadership of KPost Roofing Dallas has proven as unique as it is effective. Steve, as Head Coach, calls plays for the defense, offense, and special teams of KPost in a way that ensure their executives have the info they need to make strategic choices while the men and women on the ground floor have the freedom to do what they do best. Jayne Williams, the CFO and Safety Officer of KPost Roofing Dallas, is my go to example of a person who has dedicated her life to helping others. As Safety Officer her every day is filled with decisions that affect the lives of every person under a KPost roof. And those people have been kept safe, so safe that KPost has been recognized both in 2005 and 2007 for excellence in safety. Oh, not to mention Jayne has served as an adviser and board member on a litany of safety organizations, including a 2011-2013 stint as the Chairman of the Community Service and Disaster Relief committee. KPost is just good people. I want to start by pointing out that I only work with people that take pride in their work. If you don’t take pride in what you do, you aren’t doing it right. KPost, though, they take that pride to a new level. Where can I even start? That’s just the start of it. Check out the full list here. But, it’s more than just awards. Awards tell the story of their work, not the people. So, let me tell a quick story that shows the level of pride the people at KPost Roofing Dallas take in their work. Back in 2011 the Steelers played the Packers in Super Bowl XLV in Dallas. A freak winter storm covered the entire city in snow and ice that year. And let me tell you, Texans, as a rule, have no idea how to react to winter. 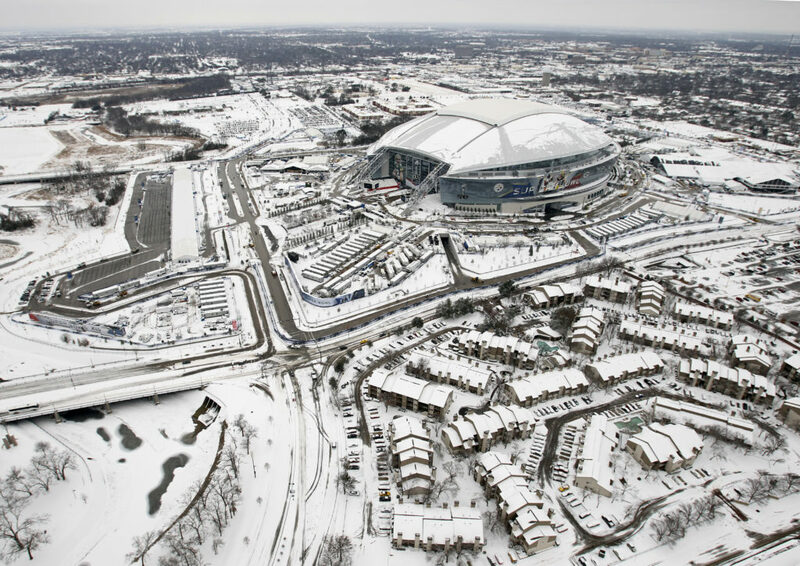 The iconic roof of the AT&T Stadium was at risk of becoming a real threat as snow drifts and massive sheets of ice were at risk of falling. People legitimately feared that Super Bowl was at risk of being a disaster as it had become unsafe for workers to prepare. KPost to the rescue. The men and women of KPost were on that roof 24 hours a day making sure that America got its Super Bowl. They worked tirelessly to ensure the safety of players, workers, and fans alike. And they did it in freezing temperatures on the roof of a friggin football stadium. Last, but definitely not least, KPost Roofing Dallas is a true member of the community. I mean that in every sense of the word. KPost works almost exclusively in the Dallas area. Despite the fact that they could make money by expanding into other communities, they are Texans to the end. What’s more, KPost has both contributed to and lead dozens of charitable projects over the years. They have supervised and trained interns for “Beautiful Feet”, provided free roofing to families in need, and supports organizations ranging from the Regional Hispanic Contractors Association to the Anita N. Martinez Ballet Foundation. READ Business Planning: Can You Break The Code? For these reasons and more I am proud to work with the leadership team of KPost Roofing as their Certified EOS Implementer.